Herein you will find links to some my main stories as well as the occasional little teaser for upcoming stories and projects. Following the crew of a Miranda class Border Patrol cutter as she braves out into the borderlands, seeking justice and revenge. A Cardassian prisoner of war struggles to be freed of her chains. A Work in progress. Contains strong scenes. A perspective of the VOY episode ‘Caretaker’ from some of the lowly figures seen in this episode but who never made to the Delta Quadrant. Stories based in the era when the Border Patrol Service was created in the post Romulan War Era. Tales set within the Eleventh Fleet shared universe. In the post-Dominion War universe Starfleet crews, civilian worlds, Cardassian colonies, Romulan spies, Klingon warriors and generals, and civilian cargo freighter crews face the challenges and dangers of an uncertain future. The war has been won and lost – now is the time to lose or win the fragile peace. New lives, new crews, new worlds, new hopes, new dangers await them all. Star Station Hope: Watchtower. A border patrol station serving the Sixth Cutter Squadron, which houses the Osprey among other crews. Diplomats, civilians and mingling crews combine to make a diverse and combustive locale that is soon to become the eye of a storm. Bounty Hunter Beks Knight runs afoul of a dangerous assassin in her pursuit of a bounty, resulting in a desperate battle for life. A civilian cargo freighter crew, captained by the outrageous and money grabbing master Captain Tabatha ‘Don’t call me Tabby’ Katherine Chase take on mysterious cargo, a new hand and new passengers bearing secrets. The USS Aegolius Harrier – a former Cardassian prisoner of war is given a new command and a new mission – to aid the Cardassian recovery and help keep the peace in a fractured universe. The first tale in the Legacy stories focusing on a joint colony venture between the Federation and Cardassia. Efforts to find and make a new world for Cardassia’s needs faces unprecedented challenges and dangers from within and without. On a remote and outdated outpost of the Watchtower Sector, Liseth Constantine, a promising but young and inexperienced officer, is assigned to a posting she does not want. Can she learn to accept her new position and what challenges will she meet? 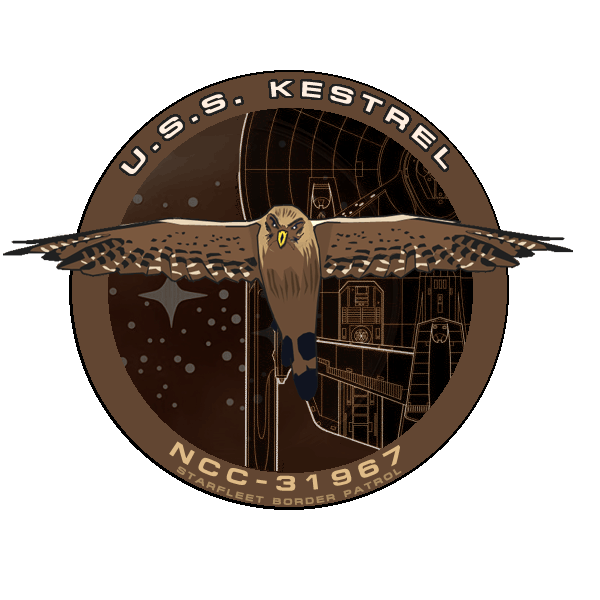 Osprey: Running the Gauntlet: Along the borders of Cardassia, Breen and Tzenkethi lies a troubled patch of space with pirates, marauders and the ever possible threat of invasion. The crew of the Border Patrol cutter Osprey are tasked with the job of policing the borders, saving lives, and holding the line. But in order to do their duty, they’re faced with running the gauntlet – a highly dangerous region of space and make a shocking discovery. Star Station Hope: Watchtower –– Fractured Hopes — Star Station Hope is about to have a very busy day, almost like every other day, except that today, the Breen are coming for dinner. Can Commodore ‘Dynamite’ Tanner maintain the peace or will past antagonisms and recriminations blight the conference? Étoile Cheval – Bounty Hunter — Old Guns; New Blood — Beks Knight wants to leave her bounty hunter days behind her, but a mysterious Bajoran operative brings her a tantalising and personal bounty. Can she refuse? When does justice become revenge?